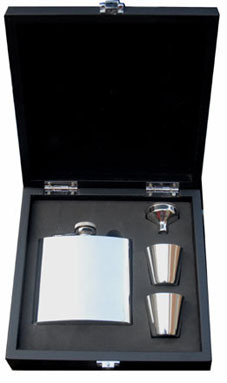 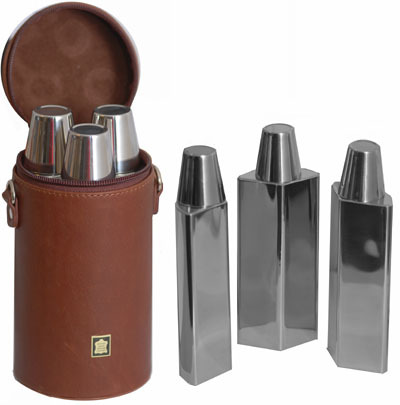 Three flask set for entertaining while 'out and about' comprising three flasks with cups in a brown Spanish leather case. 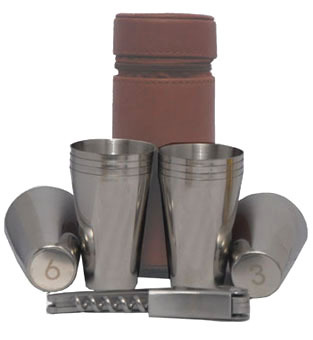 Ten cup set.The cups are individually numbered from 1 to 10 for use on shoots. 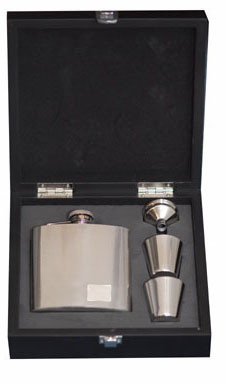 The set comes in a Brown Spanish Leather case. 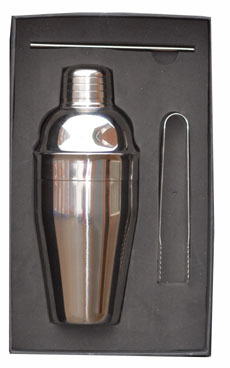 Included is a waiters friend. 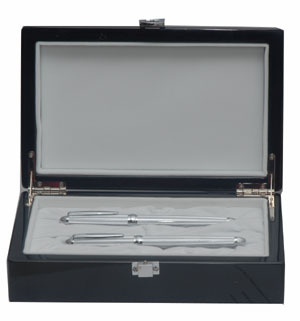 Detroit engine turned finished pen set comprising a fountain and ballpoint pen in a black wooden gift box. 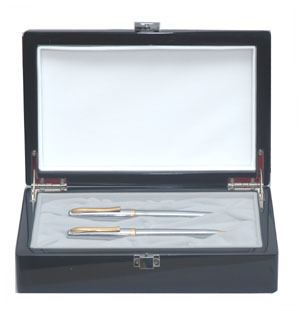 Pen set in a black wooden gift box comprising a fountain pen and ballpoint pen with a satin silver and gold finish. 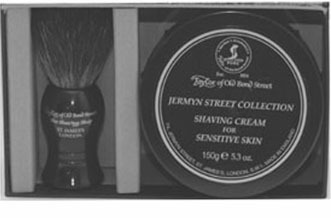 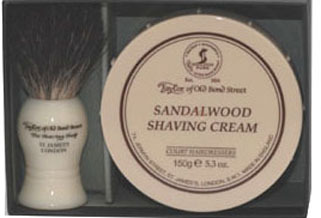 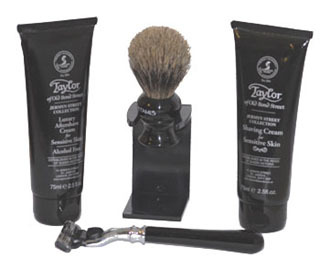 Taylors of Old Bond Street Sandalwood shaving set comprising a badger shaving brush and sandalwood shaving cream.